For centuries, Native American Navajo jewelry has been worn, sold and used as art. Today, Navajo jewelry is in high, international demand. Knowledge of Navajo culture and its rich history has helped buyers determine which Native American Navajo jewelry pieces to select. In addition to its history, Native American Navajo jewelry comes in an array of styles for men and women. 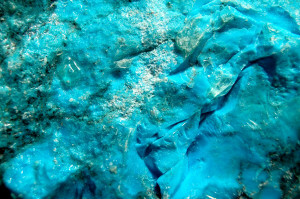 Excavations in Southern Arizona have discovered turquoise dating as far back as 200 B.C. Navajo migrated to the Southeast as a nomadic society during the 14th-16th century. They wore adornments acquired from Spanish and Pueblo conquests. Much of their Native American Navajo jewelry came from Mexican silversmiths, Spanish and other Native Indians. Also known as Dine, Navajo began their craftsmanship of Navajo jewelry as early as the 19th century and engraved designs into plain silver melted from coins and flatware that came from European American traders. The first silversmith, Atsidi Sani (“Old Smith”), started as a blacksmith, then learned how to work silver from a Mexican silversmith in 1853. Atsidi Sani eventually taught his silversmithing skills to his sons. The craft soon spread throughout the area. Metal smiths specialize in creating a variety of Native American Navajo jewelry pieces from rings, necklaces, pendants, earrings, bracelets, concho or concha belts, buckles, canteens and crosses. Today’s Native American Navajo jewelry are made from materials such as copper, iron, steel, beads, gold and most commonly, silver. One of the most popular materials is turquoise, which can be used as almost any piece of Navajo jewelry. Natural turquoise is found in the U.S. states of Arizona, Colorado, New Mexico and Nevada. Although turquoise is closely associated with Navajo jewelry, it was not until 1880 that turquoise was actually set in silver. Turquoise and sterling silver are combined to form many traditional designs of Native American Navajo jewelry. Inlay refers to the fabrication method placing gemstones into the channels of jewelry. Hammered silver involves hammering the metal to where it becomes multifaceted. Bezel setting is a grooved rim holding a gem and soldered into place. It is the earliest method of setting gemstones. These methods can form many fashions of Navajo jewelry. One of the most popular Native American Navajo jewelry styles is the squash blossom necklace, which resembles certain elements of the squash flower. “Naja”, which means crescent, serves as a pendant in the necklace. Other styles of Navajo jewelry include the smooth inlay of gemstones in the channels of bracelets and other pieces. With so much Native American jewelry to choose from, customers can easily get the most for their money and ensure that the jewelry is genuine Navajo jewelry that can be passed on to each generation. Copyright © Native American Navajo Jewelry 2019. All Rights Reserved.